There are just four races to go in Fernando Alonso's Formula 1 career - or at least this episode of it, if he really does keep the door open to a future return. Though his career may not have generated all the world championships it seemed it might, he has certainly made an impression on his rivals and those who worked with him. He will be missed within the racing world. It's a shame he's not as decorated as he deserves, but it's not just about being a great driver: it's also how you play the game and how you position yourself. He's the best driver I've raced against and I wish him all the best. Seventeen seasons is a long time and I have huge respect for that. It's a lot of commitment, time and dedication that people might not fully appreciate. He's very intelligent and he's able to deploy that to magnificent effect when driving. He is thinking all the time and making intelligent choices, and that's on top of his incredible skill in controlling the car. He combines his skills with a great ability to think about what's going on and what he's doing, and he applies that cleverness outside the car as well. He's one of the best drivers of the current generation. 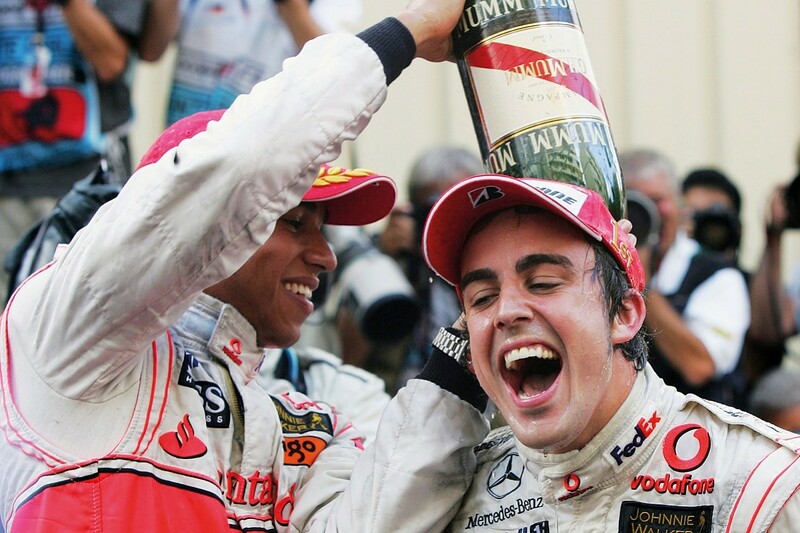 In many ways, Fernando was an even tougher team-mate than Lewis was. Yes, there were days when Lewis would just do something amazing, but there were other days when you got everything right and you'd wonder where he'd gone. With Fernando there were never any days like that. If he was behind you, he'd always be pushing you like crazy. If he was ahead of you, then you'd be hanging on. Sometimes Fernando is very direct, and when he tries to protect himself this can generate some animosity. But his image is worse than the reality. He is very shy and that is why sometimes he is defensive, but when you meet him he's actually very funny - and he loves card tricks and magic. Sometimes he can be overprotective of himself, and I think it would be good for the people to know him a bit more. He is an amazing driver; one of the quickest and also one of the most consistent and aggressive. But when we worked together, Fernando's biggest problem was the way he is very political, very selfish. I think sometimes that doesn't help him or the team. It's difficult to understand him; he was not a problem, he was always kind. But he has a personality you cannot trust. He is sometimes one way, then he'll be completely opposite. When I bought Minardi at the end of 2000, Fernando was so enthusiastic. He was in the factory helping us to build the car - we only had six weeks and three days to get to Melbourne. He was there for many of the late nights and early mornings. Even the 12th-place finish that he took for us at his first race in Australia was outstanding. The car had been thrown together and he just went out there and wrung its neck. Our collaboration over the years was very positive, and straight away he had quite a lot of trust in the people around him. He was relaxed and open to our way of working at Ferrari. He's also very charismatic and it was an enjoyable time together where we'd make jokes and talk about arranging a game of basketball next time we were in Maranello. To be a winner you have to be a fighter. I don't trust those who want to look like angels because without that fighting quality you won't succeed. This is part of his character that can make him difficult, but he knows what he is capable of. Occasionally, you have to tell people things they don't want to hear because there are other egos at play. I think he is much cleverer than me. In the race I'd say "we need to do something" and he'd come back with an answer I'd never have thought of. And he could do it while driving. He was a quiet lad; a reserved guy. We nicknamed him 'Droopy', after the cartoon dog with the sad-looking eyes. In 2002 he was a Renault test driver and was really unhappy he wasn't racing: he always had drive and determination. Some people found him tricky to work with, but sportsmen like him need to be strongly managed. He might have been let down by team bosses who lacked the necessary skills. Fernando is clever but very laid back, and in the early days this could mask his intensity. In a briefing you'd think he wasn't paying attention, and then he would ask an incredibly pertinent question that showed he was really digging deep. There's a lot of capacity when he's driving, too. He set the fastest lap at the Canadian GP one year and was talking to us nearly all the way round the lap about some aspects of the race. Then there's the other side. At the end of 2006 we were fighting hard for the title, we were under a lot of pressure, and our competitiveness against Ferrari was decreasing. Then, out of the blue, Fernando did a press conference and just laid into Renault and slagged them off. It was devastating for the team and he lost a lot of friends. I don't think the team situation is important to him other than in terms of what it can bring him. 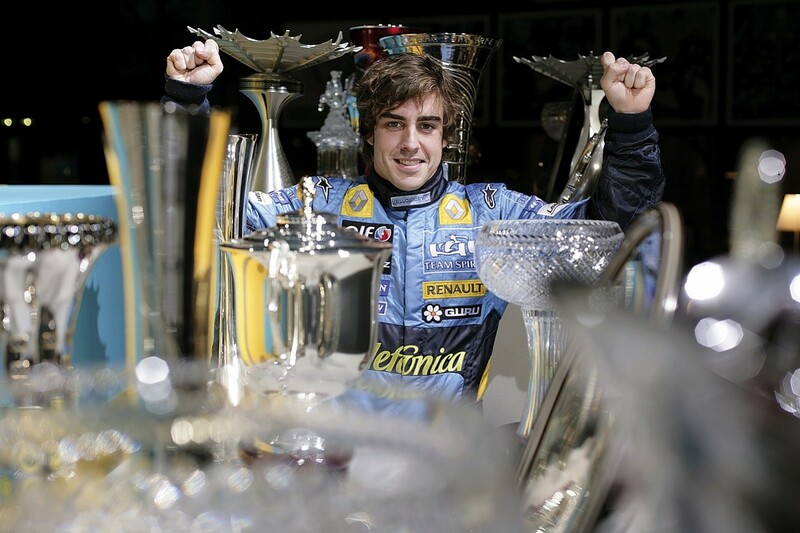 He returned to Renault in 2008 because he was in a position where the only thing he could do was come back. Time and time again he leaves himself in positions where he doesn't have options. He's clever when it comes to racing, but in life he's not that clever. There are times in life when you don't do the best thing for that day, you play the long game. I don't think that comes onto Fernando's radar at all. The difference between Fernando and the rest of the world is that he is on top of his skills and it's more than determination for him: he has an absolute need to win. It's like somebody needing oxygen to breathe. If he doesn't win, then he fades. Character-wise, when the momentum is strong, then everything works well. But if you start to head into a downward spiral, then the trust is broken and that's when the mess starts to happen - that's the reason why he fell out with both Renault and Ferrari. He knows his own power. The team will always be the bad boy and the driver the good boy. But as long as the team are delivering the performance and he can see that your commitment and determination is right, then you will always have his full support and commitment in return. Worth getting up to watch Kimi win that one. Reckon that was the best race of the year. Really pleased to see Kimi have a win. They sacked the wrong bloke. I actually don't think he was ripping on him - Kimi being Kimi. Great race, yesterday hurt with 2 hours sleep. Man i took Monday off hoping to celebrate the 5th Title. FAIL. "I want to race, but staying in F1 doesn't really excite me. The racing excites me, but the rest does not. So it's a bit of a complicated situation"
LOL Mexico is 3am and I have be on a plane at 6.. going to be interesting! Dan on pole - excitement should be high around here! The dry patch lasted three full seasons and 49 races. At the time, it seemed inconceivable that McLaren - the superpower with which first Niki Lauda, then emphatically Alain Prost and Ayrton Senna, bestrode Formula 1 - should have fallen so low. Today, after a win drought that is now well over double the length and shows absolutely no sign of being quenched, the mid-1990s seem just a blip. Perspectives have changed. The loss of Honda at the end of 1992 triggered McLaren's downfall, although Senna led a valiant charge with customer Ford power in '93. The ill-advised shotgun marriage with Peugeot lasted all but a season, before Ron Dennis cracked the deal that would regenerate his company. It would take three years, but the partnership with Mercedes-Benz would prove bountiful. And it was with this car that it first bore fruit. Today, the 1997 McLaren MP4-12 tends to be overlooked, lost in the shadow of its successor. That's understandable. The 1998 MP4-13 was Adrian Newey's first McLaren and majestically carried Mika Häkkinen to drivers' title glory and the team to an eighth - and to date last - constructors' crown to kickstart a bright new era. But the seeds of its success were sown here, before Newey joined from Williams, and included one of the great grand prix technical innovations that was both devastatingly effective and simple all at the same time. Steve Nichols, the designer largely responsible for the sublime 15-wins-out-of-16 MP4/4 of 1988, has been credited with the idea for the clever brake-steer system deployed on MP4-12. Devised in the winter, tested in the spring and on the race car by Canada in June, brake-steer gave Häkkinen and team-mate David Coulthard the ability to pull the anchor on a single inside rear wheel mid-corner, via the use of an extra brake pedal, to offer significant assistance to their change of direction. It represented a form of stability control now common on road cars, but activated manually by the drivers. Genius - but not particularly complicated. It worked by splitting the rear brake line in two, with one linked to an extra master cylinder connected to the inside rear wheel. The team would choose which rear wheel would benefit from the extra braking before each race, depending on the right/left bias of that track's turns. When the driver braked normally, stopping power would pump straight through this cylinder to slow both rear wheels. But when he depressed the extra pedal - while accelerating through the corner - it would kick in and add braking power only to the wheel it was connected to. Understeer could be neutered and traction enhanced, enabling the car to leave the bend on the best line and at a greater rate of knots. Newey, who joined in August 1997, reckoned it was worth at least 0.3s a lap. News broke about it through this very publication after F1 Racing photographer Darren Heath noticed McLaren's inside rear discs glowing under acceleration. At the Nürburgring, where both cars retired while running one-two with embarrassing Mercedes failures, he took the opportunity to stick his camera in the cockpit, capturing incontrovertible proof of McLaren's extra pedal. Scoop! Häkkinen, a natural left-foot braker, loved it. For right-foot-braking Coulthard, the system must have required more adjustment. Both felt the benefit. Yet even before its introduction, MP4-12 had already proven its worth. The car, conceived by long-time McLaren design wizard Neil Oatley, was significant for a number of reasons. First, the obvious: it was silver and black rather than Dayglo and white - which took some getting used to. The switch of tobacco brands, from Philip Morris's Marlboro to West, ended an F1 sponsor partnership dating back 23 years. The winter interim also provided an opportunity for McLaren to acknowledge their distant past: when MP4-12 took its bow in January '97 it was painted papaya orange, just like founder Bruce's cars had been. For the big reveal of their dramatic makeover, McLaren went to town. Precisely, north London. The Alexandra Palace launch extravaganza featured the Spice Girls, no less - who at the time were at the zenith of their (girl) power. Oh, and Jamiroquai, too. In Melbourne, McLaren's new-look flying cigarette packet smoked 'em at the first time of asking, as Coulthard clinched his second career victory. The drought was over. But a torrent of wins didn't exactly follow. Not yet. Coulthard wouldn't win again until Monza in September, while Häkkinen's own breakthrough followed in controversial circumstances at the Jerez season finale. In the wake of Michael Schumacher's failed move on Jacques Villeneuve, the man who would become world champion apparently stuck by an alleged pre-race agreement between Williams and McLaren to move aside, if the latter kept their red-tipped noses out of the title denouement. Häkkinen also appeared to benefit from Coulthard's obedience to an intra-team order from Dennis. Hardly the best way for Häkkinen to break his duck, but they all count, don't they? Three victories. In the context of their fallow patch, not bad. But the reality was McLaren were still only F1's fourth best team according to the standings, way behind Williams and Ferrari and four points behind Benetton. Unreliability had cost them, Häkkinen retiring three times from the lead of grands prix with engine trouble, and Coulthard's clutch problem in Canada letting another slip by. But the signs looked clear: Mercedes were getting there. Their new V10 was at least a match for Ferrari's and not far off the Renault benchmark. Newey's Midas touch and his intuitive translation of F1's new narrow-track regulations, on grooved Bridgestone tyres, would complete the regeneration. 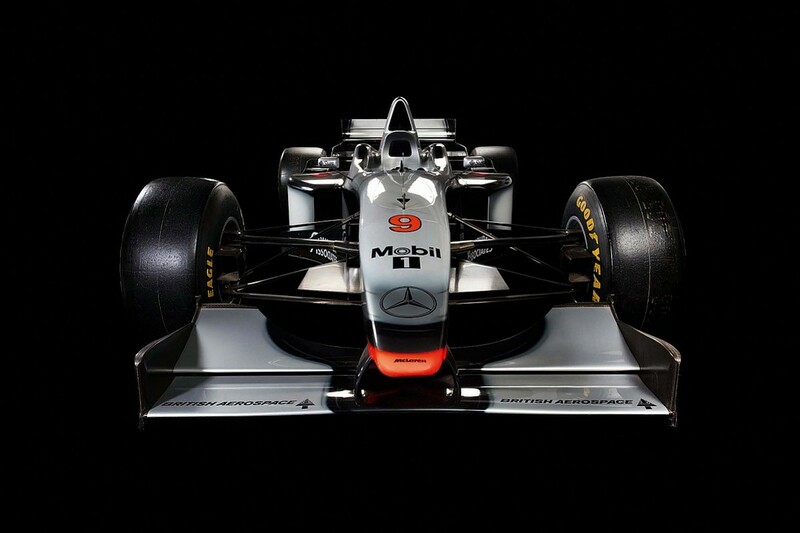 As for brake-steer, McLaren moved it on a step for 1998. On the MP4-13, the drivers enjoyed the added power of choosing which wheel to brake corner by corner - only for the FIA, following a big nudge from Ferrari, to ban the system from Brazil. Cue understandable fury. The old rivalry, born during the Hunt vs Lauda duel of 1976, had been injected with new dose of venom. Was about to crack the shits with it as the commentary was all Max, Max, Max. Then Dan goes fkn bang and puts it on pole. Trippin major nut sack. Whatever the hell that means. But is he a GOAT yet? ..... at least in this race , unlike most this year , he actually had to race other drivers !! I am not a Lewis fan, but I have enjoyed his driving this year. He has done well, been professional, qualifying all year has been very good. Congrats to him on this championship. As a Ricciardo fan, I am astounded. Bad luck, thought I'd have a look at Webbers records. Dan equals the 8 retirements of the 04 Jag R5 season. And currently 3 shy of the 11 retirements with 2006 Williams. Not his fault Vettel has been so bad that there has been no need to race. Still have no idea why the Renault engine works better at high altitude than it does everywhere else. Sizing of the turbine and/or compressor perhaps? I think it is more that the Merc and Ferrari advantage isn't as high. Have a look at the speed traps - still dominated by them. Granted but even the factory Renaults were alot closer than they usually get. Vandoorne scored points too so it wasn't just the RedBulls. I love Vietnam Im pretty excited about this! Planning Tour of Booty for F1 Vietnam!